Private 315279 Thomas Henry Hearder Perring, 1st/5th Battalion, Devonshire Regiment. requirements it is now a Greek Orthodox. Thomas was born in Torquay, Devon, on 28 May 1881, the son of Peter Herring and his wife Dorothy Knight Coyte née Forord. He was one of five children born to Peter and Dorothy the others being: Gilbert Courtanay (born 1879), Thomas Henry (born and died 1880), Coyte (born 1883) and Kate Elizabeth (born 1884). He was baptised in the parish of Tor Mohun on 16 September. 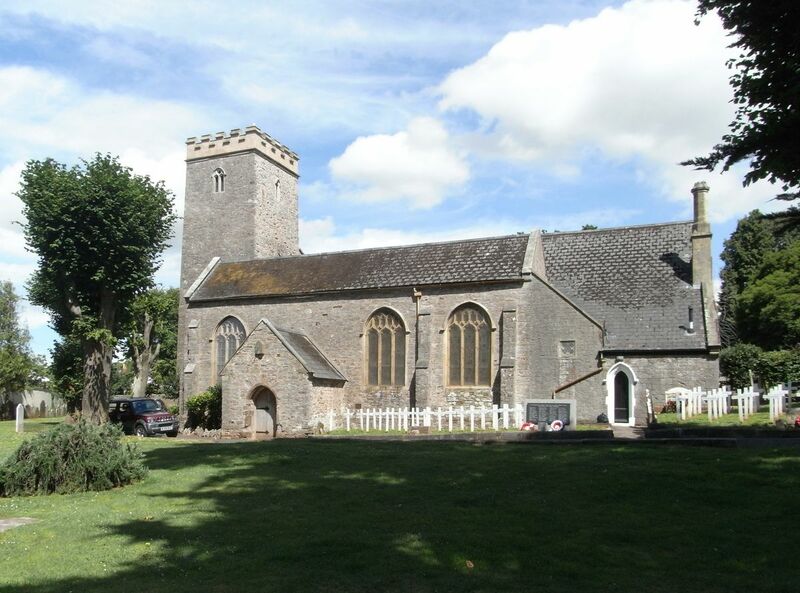 Tor Mohun is the ancient parish and manor that was transformed into the seaside resort of Torquay by the Victorians. His father was the magistrates’ clerk in Torquay. Thomas was educated in Devon and eventually took up work as a ‘scenic artist’. This was theatre work, painting the scenery used on stage. It is easy to see how a young lad might get involved in the theatre business growing up in a place like Torquay. The work was not conducive to a settled existence – plays would run for weeks or months with no need for more that the occasion touch up of the scenery. So Thomas moved to where the work was. In the 1901 census he is recorded in Melksham, Wiltshire, aged 19 and lodging together with a ‘musical artist’ and three ‘variety artists’. On 19 November 1906 Thomas married Henrietta Allen in St Nicolas’ Church, Newbury, giving his address as 2 Barclay Cottages. This was probably 2 Berkeley Cottages in Speenhamland Backway (later Pelican Lane) which appear in local directories for 1905, 1906, and 1907 with three different occupants (none of which is Thomas). The happy couple’s first child, Gilbert Thomas, was born in Newbury on 7 April 1907 followed by Coyte George Hearder (7 January 1909) and Francis Hooper (17 July 1910). Sadly Francis had a very short life and died on 19 November 1910 when he was only a four months old. He died and was buried in Banbury, Oxfordshire, demonstrating that the family were still following an itinerant lifestyle. The birth of their next child, Kathleen Courtenay (21 January 1912) was registered in Bromsgrove and the next, Dora, in Plymouth in early 1916. In March 1917 they left for Egypt and early May found them at El Arish. In June they crossed into Palestine, where the newly-appointed General Allenby was planning how to capture Jerusalem by Christmas. Their baptism of fire came on 8th July at Samson’s Ridge, near Gaza, when they were heavily shelled. 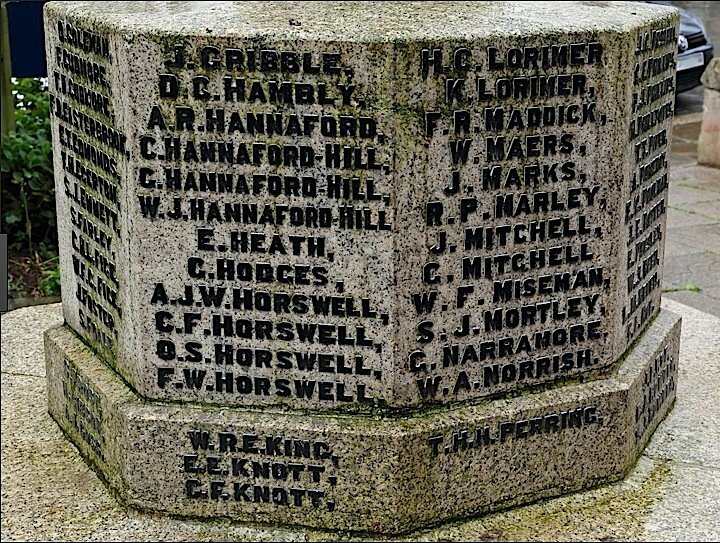 On the 20th they suffered 80 casualties from shelling at Umbrella Hill while supporting the Bedfordshire Regiment’s attack. After Beersheba was captured in late October the Battalion took part in the advance towards Jerusalem. Their march was often a torment of heat, dust, thirst and exhaustion. On 13th November they advanced under heavy fire and took the Turkish positions at Junction Station, suffering 57 casualties. It is quite possible that Thomas had joined them by the time of their baptism of fire in July, if not it would have been soon after. However, their first real action came at the Junction Station assault. This was part of the Battle of Mughar Ridge; the capture of the station cut the Jaffa / Jerusalem railway and denied its use to the enemy. The rapid EEF advance started by victory in the 3rd Battle of Gaza on 1/2 November would continue and see the capture Jerusalem in early December. The 5ths attack had been conducted with excellent order and steadiness, company and platoon commanders had led their men well and controlled them excellently, and the battalion's behaviour in its first serious engagement earned it no little credit. It had got off lightly; out of 400 actually in action only 7 men were killed, while 2nd Lieuts. Dening and White and 48 men were wounded. PERRING – Nov. 13, in Palestine, Private T Hearder Perring, of the Devons. Deeply mourned by his sorrowing wife and little ones, Glibert, Coyte, Kitty, and little Dora, H Allen. – God’s will be done. 8 Waldegrave Place. His body was not recovered (suggesting that he may have been killed by a shell burst) so his name is remembered on the Jerusalem Memorial to the missing of the Palestine Campaign. 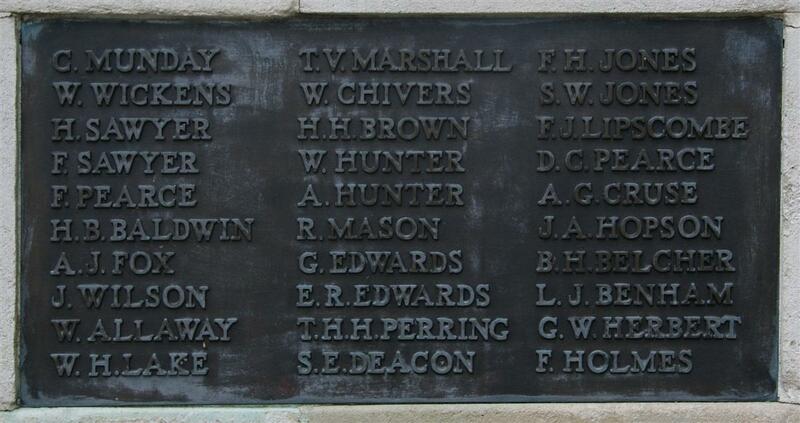 Hhe is also remembered on his hometown memorial in Totnes, Devon. Shortly after his death, on 3 January 1918, Henrietta gave birth to their final child in Newbury (presumably she had returned home to her parents) – she named the child Thomas Henry in memory of his father. It seems that she then sought consolation in other arms and John Allen Perring was born in Newbury in 1919. She married William Sheppard, also in Newbury, in 1921. Thanks to Steve Miller for his input to this story.